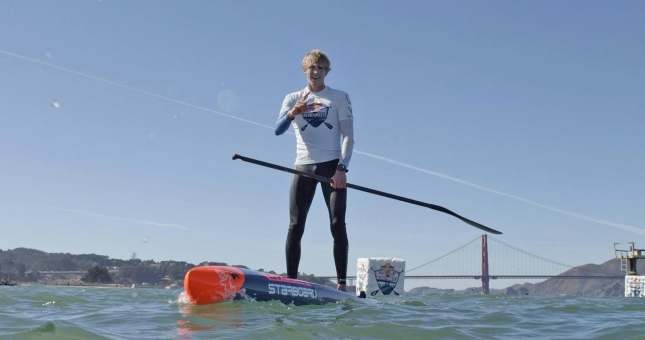 Connor Baxter took out the much-hyped Red Bull Heavy Water event in San Francisco last week, surviving the solid waves at Ocean Beach to edge out arch-rival Kai Lenny and pick up a record $20,000 prize. Zane Schweitzer crossed in third to make it a clean sweep for the Maui Boys, with Casper Steinfath having to settle for fourth place. With the course seeing paddlers go in-and-out through the solid waves three times, before paddling north to the bay, this was a mix of skill, strategy and endurance. Connor, Kai and Casper got out to an early lead on the first loop through the surf, before Zane and Aussie Jake Jensen caught up on the next loop. On the final run out through the surf, Jake was held up while Zane just snuck through, allowing him to keep pace with the three leaders before eventually overtaking Casper and handing his good buddy Connor the overall Stand Up World Series win. Waves weren’t quite in the promised 10ft range, but it was still very solid, with the heavy shorebreak at Ocean Beach making it extremely difficult to get out. Connor’s $20k in San Fran goes with the $2.5k he won on Maui and $10,250 he picked up at the Pacific Paddle Games, for a total haul of nearly $33,000 in three weeks. October has been an incredibly lucrative month for the world number one. And it’s very well deserved: Connor has always been one of the most dedicated and determined athletes in the sport, however he’s been training on a whole new level this year, and clearly the hard work is paying off. Red Bull Heavy Water turned out to be a bit of an odd event in the end, with race day reality failing to match the heavy dose of hype that was served up pre-race. There were big waves. Big names. The $50,000 purse (including a world record $20k for the winner). The power of Red Bull. And plenty of hype stretching right back to January. Or in other words: The event certainly had a lot going for it. But in the end it was a bit of a fizzer, with just 12 guys standing on the start line and a lack of any decent event updates or post-race buzz. The low turnout can be explained by the series of postponements that clearly hurt the event: Red Bull Heavy Water was due to run in March, then April, then September, before finally going ahead after the season had all but wrapped up and most of the international athletes had either given up on this race or simply gone home. But the coverage was also very patchy, with sparse updates and media output on race day, and final results not released for a week. That was something that prompted a barrage of angry fan comments on the official event site and Stand Up World Series Facebook page. Organisers explained this away by saying it was being filmed for a Red Bull TV extravaganza, which is great and all, but there was very clearly a big disconnect between the hype and the reality with the inaugural Heavy Water event. 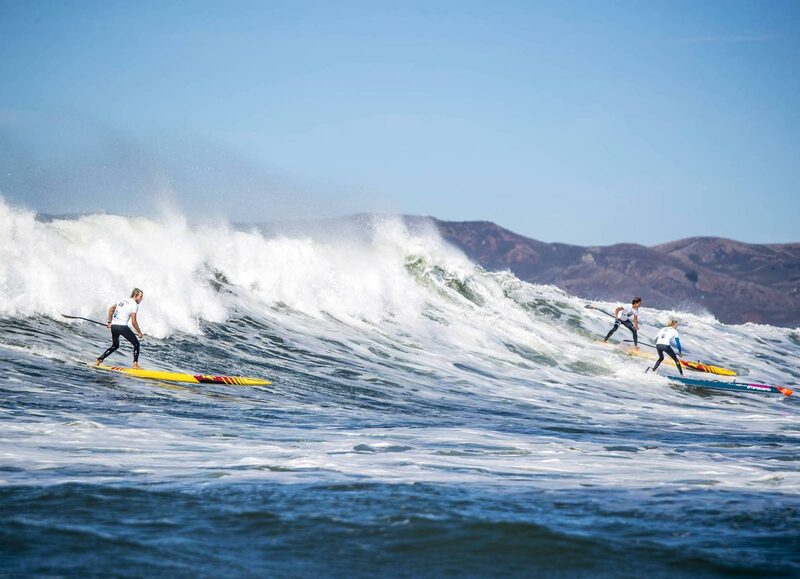 Hopefully these rough edges get smoothed over before next year, because our sport certainly needs more exciting surf racing to attract mainstream appeal, and it definitely needs the Red Bulls of the world to stick around and be more involved.